There are no fees for any services provided at NVCA. Applications are available to confirm eligibility for interment of veterans and dependents. An employee is available to discuss interment and memorial headstone options for veterans and their eligible dependents. Grave-side services at the cemetery are all held in our Committal Shelter. This permanent structure is made of natural stone, has a concrete foundation, and a wood and metal roof. The shelter has electricity, a sound system, microphone jacks, a podium, and covered folding chairs. We also have a table for the displaying of an urn, photos, and flowers during the committal service. We will coordinate with funeral homes and family representatives to accommodate each family's needs as best we can. Full time employees excavate and close all graves at the cemetery. A memorial garden for the spreading of cremated remains for those families that do not wish to have a permanent grave for their loved one. 3'x8' graves are available for casket remains. Concrete crypts are pre-installed and allow the veteran and spouse to be buried in the same grave. 5'x10' graves are available for over-sized casket remains. Crypts in this section are not pre-installed and must be provided by the family, through their funeral home. 5'x5' graves are available for cremated remains. Other than fitting within the size of the grave, there are no restrictions on what type of container a family can provide to have cremated remains interred. An upright marble headstone is provided for each grave. Employees at the cemetery are available to discuss options for inscriptions. An upright marble headstone and 5'x5' grave may be provided for service members buried at sea or killed in action and whose remains were never recovered. A family may display photos or personal items in our lobby shadow boxes to honor the service of their veteran family member that has been interred at the cemetery. We will coordinate with families that are interested in having remains transferred from another cemetery to the Nebraska Veterans Cemetery at Alliance. This permanent veterans state cemetery has capacity for over 8,000 interments. 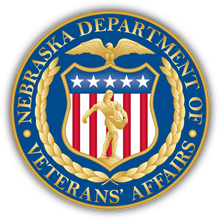 The State of Nebraska is committed to provide perpetual care, at the highest Shrine Standards, to honor our veterans and their dependents. The memorial garden is available for families to sit and reflect. This area will continue to be developed so that visitors will have a quiet place to meet and rest.